Only recently, upon moving to the States, have I seen one for the first time (fig. 1). I have in fact seen hundreds. 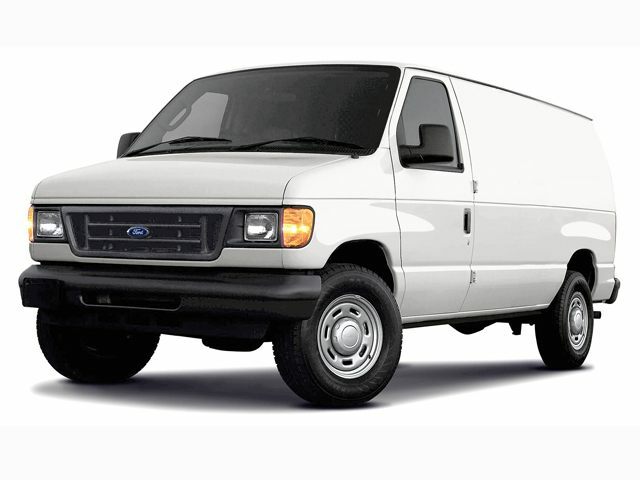 After all, Ford say it’s been America’s best selling van for 31 years. But why should this be of consequence to anyone other than serious vehicle design geeks like myself? Well, the Econoline van marque (now called the E-Series), is 50 years old this year, and so it at least deserves credit for endurance. But there’s another reason why I would urge people who either know it well, or not at all, to cast a fresh eye over this American workhorse. And that is because its form is actually surprisingly prescient of a kind of “ordinary” or “normal” design that is currently being celebrated by certain designers and commentators, and yet, is apparently also in danger of being eclipsed by self-conscious over-styling and novelty (see previous post “In Search of Normal”). And so, perverse as it may seem to sing the praises of a utility vehicle such as the E-Series from the point of view of looks alone (I’ve never driven or been driven in one), I want to point out its aesthetic virtues, in case they had passed you by. Not least because there are rumors it is to be replaced in the next few years by the less than attractive Ford Transit Connect. Further proof, of the gradual extinction of “normal”. 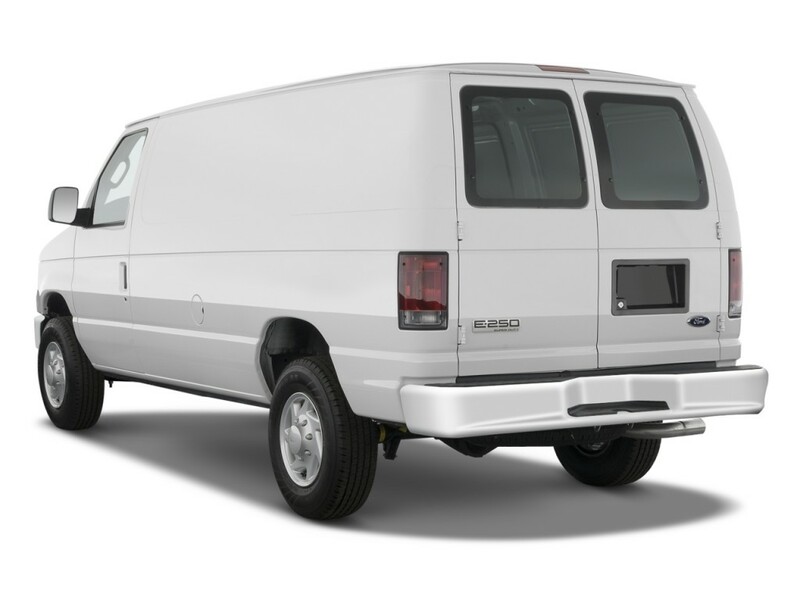 The Econoline/E-series has been available in many incarnations over the years, from different wheelbase lengths, to windowed mini-buses aimed at groups or families. It may not be the most economical vehicle by modern standards, and parts of it aren’t that modern (it’s been built on the same platform for 35 years of its 50 years), but it has found its way into the hearts of many through sheer staying power. One owner clocked up over 1 million miles and most have done over 250,000. Grammy award winning country music artist Nanci Griffith’ even wrote a song characterizing it as a freedom machine, saving a woman from her cheating husband. But what is so great about its design? Well, first I have to qualify my claims. Not all Econolines have the design qualities I am praising. I refer to the fourth generation , launched in 1992, which, besides face-lifts (of which more later) and new engine specifications, has remained largely unchanged to the present day. While many of the previous models are full of quirky period charm, it is this recent model that has a particularly subtle visual quality. To be simplistic, it is a well proportioned, gently rounded box on wheels. The bodywork is uncluttered, with only two subtle feature-lines along each side, one running across the tops of the wheels, the other linking the tops of the front and rear light clusters. There is a consistent design language at work, based on simple squares and oblongs with radiused corners, that is followed right down to the door handles (fig. 2). But there is more to it than that. The vehicle’s main volume has the feeling of having been gently inflated, its sides, rear and roof all bowing out to give the impression of surfaces under tension. It is a trick known as curvature continuity, often used on domestic products to avoid blockiness and it is not uncommon in other vans, but its effect is accentuated by the pure lines of the E-Series. European van design, by contrast, is almost universally littered with unnecessary swishes, swoops, recesses and bulges, the VW Crafter being a typical example (fig. 3). The quest to make a more aerodynamic box has resulted in some serious design crimes. Fig. 2 The rear light cluster, petrol cap and door handle of the E-Series show a consistent application of a simple, no frills, design language. Yet Ford’s reluctance to revamp the main body of the E-Series isn’t necessarily evidence that they share my aesthetic judgment. It is primarily a pragmatic decision. As E-Series chief engineer Rob Stevens explains here, there is plenty of business done in kitting out the vans for specific purposes, and contractors have invested heavily in tooling. If Ford change the dimensions of the van, these “up-fitters”, as they are known, will also have to shell out for new equipment. Unfortunately this hasn’t stopped Ford tinkering with other parts of the vehicle. Fig. 3 Even with its overworked new nose, the E-Series (right) is understated compared to "busy" European van designs such as the VW Crafter (left). They daubed the E-Series’ face with too much make-up in 2008 when they redesigned the front end (fig. 3). This brought it into line with their F-Series of Super Duty trucks to give uniformity to their fleet but is a perfect example of unnecessary tidying up – a kind of corporate displacement activity. The new over-sized, snout-like grill, with its top edge creeping up the bonnet, jars with the subtle lines of the rest of the van. Combined with the larger headlamps, the visual effect is to weigh down a vehicle that previously looked poised. Although also spoiled in 1997 by an attempt to reflect the company’s oval motif, the earlier grid-like grill with its tapering sides, like a smiling mouth, at least gave the vehicle a friendly face in stark comparison to the aggressive image it now sports (Fig. 4). Another fashion-following change saw the simple brushed stainless steel “dog dish” hubcaps (fig. 5) replaced with, fussy trims, dishonestly mimicking alloy wheels. At least the chrome bumpers (“fenders” for you Americans out there) were still an option, and before you peg me as a hopeless nostalgic, consider this. Polishing the chrome on an automobile may have been replaced with polishing the back of an i-Pod or i-Phone but, in emotional terms, the activities are essentially the same. You renew your sense of pride in the object in a way you do to a lesser extent with painted surfaces. All of these ill-advised tweaks put into question whether or not those in the design department at Ford were aware of the understated elegance of the Econoline’s original design. In the industrial design field, the recent visibility of figures such as Jasper Morrison and Naoto Fukasawa with their Super Normal exhibition, Sam Hecht of Industrial Facility and Konstantin Grcic, all known for their rigorous pairing down of form, has promoted to today’s jobbing designers, the idea of knowingly cleansing objects of unnecessary stylistic flourishes. 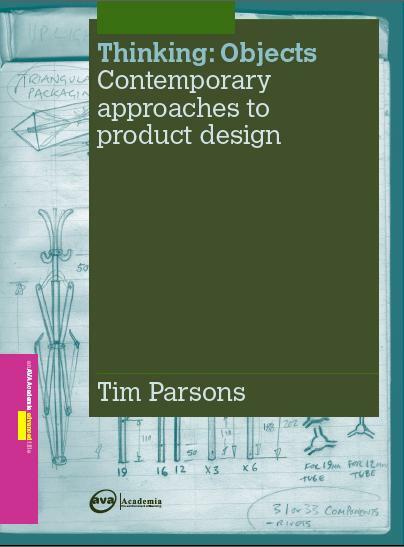 However a consequence of this is that it is easy to mistakenly read the same consciously sophisticated restraint into the choices of past generations of designers who in many cases were never aware of the option to design any other way. That new-found appreciation hopefully means designers and those directing design departments are more conscious of their choice. They can pander to the less attractive side of our personalities that craves attention for the wrong reasons and is desperate to be seen in “the latest thing” be that a set of clothes or, even, yes, a van. They can attempt to render obsolete past models while they still operate perfectly adequately. Or they can appeal to us as intelligent, thoughtful individuals, who are able to discern when a product has been considered well in its particular context. They can trust that by offering us, in the words of Dieter Rams “less but better”, we will favor it over the dazzle of bells and whistles from their competitors. It is a brave stance to take – that’s why few companies take it – but if no-one does, we only further surround ourselves with an increasing cacophony of visual noise. Fortunately with so many E-Series vans still on the road, it will take a while for them to disappear. So while others drool over Mustangs and Chargers, my spirits will continue to be lifted at the sight of America’s unpretentious workhorse in action. Great article! Yes the E-series is wonderfully simple, but I believe that the VW Transporter is the closest thing we have over here. Nice piece of writing and observation. FYI, most of the E-series styling changes sequentially reduced their coefficient of drag, info readily available online. I agree that the 2008 front end change was less attractive, but dropped the C of D from 0.37 to 0.35, close to the 0.33 average for full-size passenger cars. For comparison, the much praised F-150 pickup redesign reportedly bested the full-size pickup pack at 0.405. 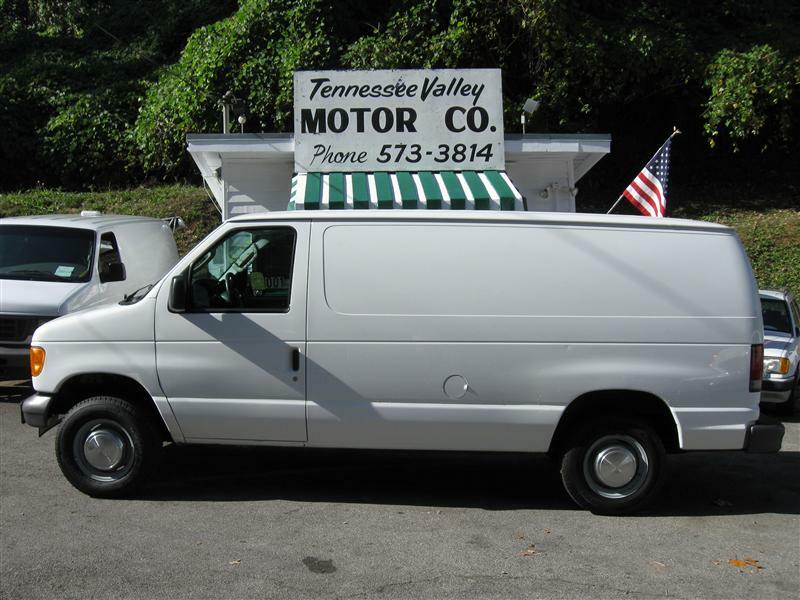 The sculpturing of the E-van beats pickups because the van is essentially a pickup with an aerodynamic bed cover on it. I personally am still in love with VW vans but had to move on to Dodge B-vans, now drive an E-van because it was the only thing left on the market that can fit in my home garage. Thanks for the comment Rod. I appreciate you taking the time. The drag coefficient info is good to know.